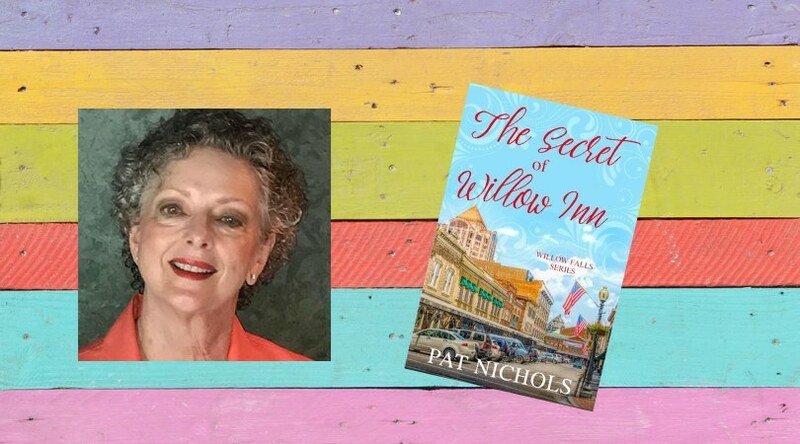 Pat is offering a print copy of The Secret of Willow Inn to someone who joins our conversation below. So gather ’round. Let’s encourage one another. My life began in Champaign-Urbana, Illinois with two wonderful parents and later a sister. When I was in third grade we moved to Orlando, Florida, where years later I married Tim, my high-school-sweetheart. When our son and daughter were toddlers, I became an Avon Representative to supplement our income. In 1978, following seven years as an independent representative, I was hired as a district sales manager. Three years later Avon promoted me to division sales manager and moved our family to Atlanta, Georgia. I spent the next twenty-four years in seven different management positions working with hundreds of amazing women throughout the US. Tim and I retired the same day in 2005. We finished decorating our home and ticked off every item on our travel bucket list. Our favorite destination, Venice, Italy. During the next few years, I engaged in volunteer work, served on three boards, and spent time with our three grandchildren. The tragic loss of our God-daughter compelled me to write a story about her life, but with a happy ending. The experience watered a seed planted years earlier and launched career number two. Now I’m proving it’s never too late to follow your dreams or fulfill God’s calling. I’d heard it takes an average of ten years for an author to land a first publishing contract. Having begun my writing journey after becoming eligible for social security, I needed to shave as much off that time as possible. For three years, my time split between studying the craft, attending conferences, connecting with authors, and writing a second novel. I pitched those first two books to seven agents and publishers and received seven rejections. One benefit that comes with age is the ability to view rejection and disappointment as opportunity. I took the feedback from those agents and publishers to heart and fleshed out a new idea. A series about two women, strangers from different backgrounds, and a convicted felon returning to the scene of her crime. I visualized the characters, the way they looked, their personalities and their history. Next came a decision about the settings. A small town struggling to survive and a big, bustling metropolis. 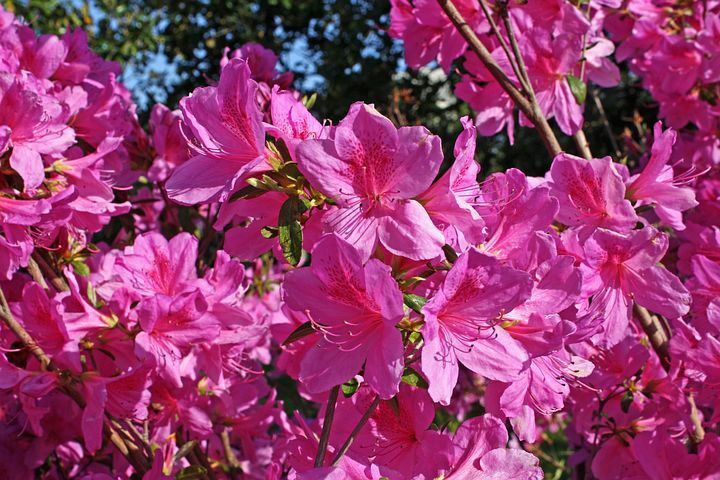 Because I live thirty miles from downtown Atlanta, I chose it as the city. Although I’m old enough to remember slide rules, I’m grateful modern technology allows me to conduct research from my living room. Not that I don’t like to get out and about. It’s simply a more efficient use of time. When it came to the second setting, I wanted to create a community I could conform to the story. It began with century-old storefronts facing a lakeside park and a block-long section graced with seven southern-style, antebellum homes. An abandoned hotel and historical general store completed the scene. It was time to breathe life into Emily, Rachel, and Sadie. 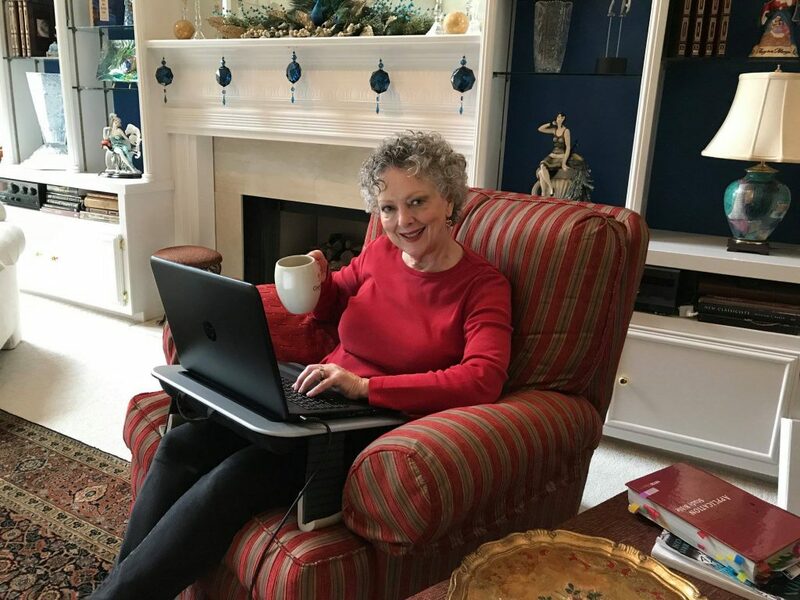 Four years after first typing Chapter One, I signed a contract with Guiding Light, Lighthouse Publishing of the Carolinas imprint. 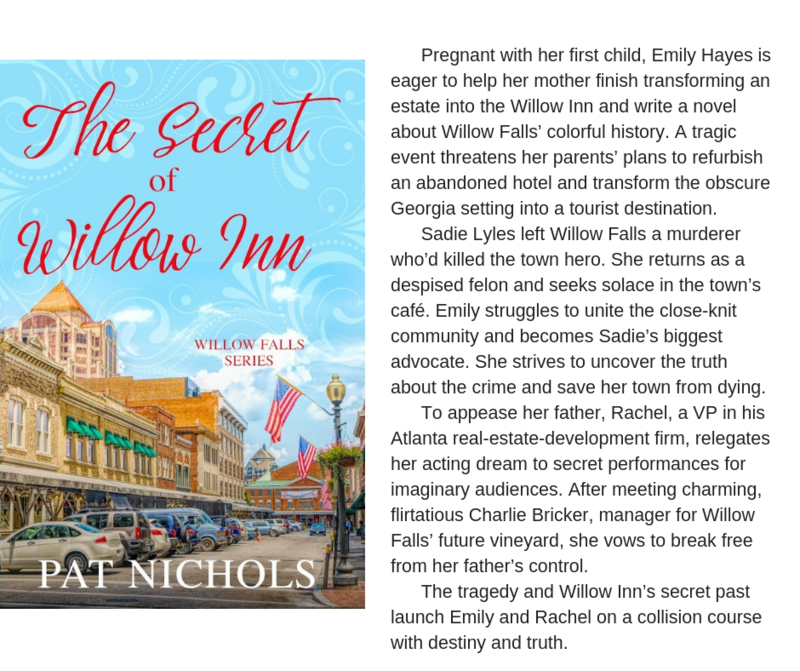 The Secret of Willow Inn—book one in the Willow Falls Series releases January 10, 2019. Book two releases January, 2020. The discipline, goal setting, and multi-tasking I learned during my corporate life is serving me well in my writing career. The biggest learning curve has been marketing and social media. Thank goodness I have grandchildren to answer my technical questions. 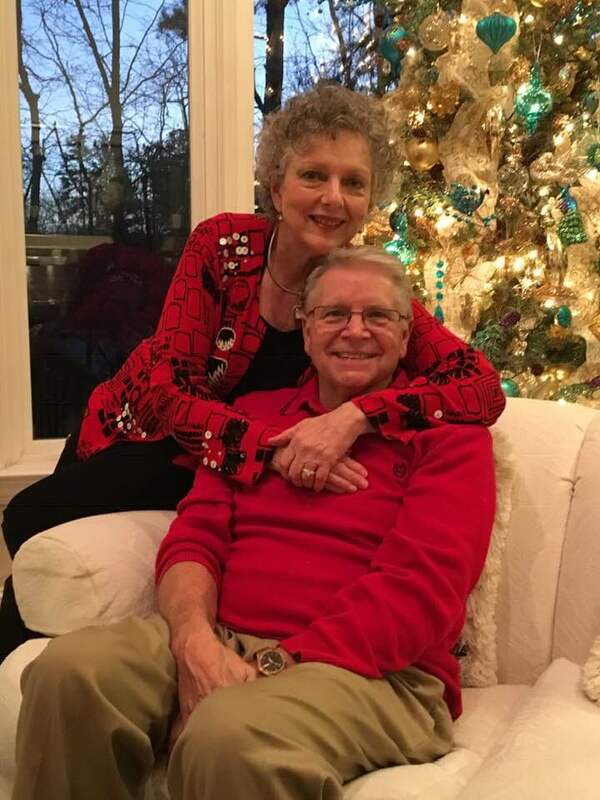 What’s Next for Pat Nichols? My goal is to publish at least ten books before God takes me home. My current work-in-progress is Willow Falls Series book three. Emily, Rachel, and Sadie have become so much a part of my life I sometimes want to invite them to dinner. What’s next? Willow Falls book four, a possible rewrite of my first novel, and a Christmas novella. I thank God for planting the seed and opening the door to this wonderful, world of writing. I pray my journey will encourage others to follow their dreams and view age as a precious gift. Dear Lord, Pat’s life story illustrates how You give Your children dreams and callings and set their feet on paths to reach them. We can see Your hand in Pat’s life and in her journey to publication. How faithful You are. Thank You for Your faithfulness to every generation. We pray You’ll bless each word she writes to Your glory. Isn’t God great. I so enjoyed your “chat” and learning of your writing journey. I am looking forward to reading the Willow Falls series…all 10 of them! I agree with you, age is God’s gift to us. It is just a number. We can definitely do all things through Christ. By the way, I am in the midst of my 40th year teaching! Wow, 40th year teaching. That’s awesome. My mother and sister were teachers and one of my corporate positions was trainer. So we have a lot in common. And you’re right, age is just a number. I hope you enjoy The Secret of Willow Inn. I totally enjoyed getting to know you. I live about 2 hours from Atlanta in North GA. This book sounds amazing. Thanks for the chance. I love north Georgia, which is why I created Willow Falls in that part of the state. I hope you enjoy the book. Perhaps our paths will cross one day. I love how your goal is to write 10 books before God takes you home. I will be working on my vision board tomorrow and I am excited for what God will place on my heart and what the Holy Sprirt will prompt me to do tomorrow. Amazing things happen when we follow God’s nudging. He gives us strength we in our weaknesses. for God, keep writing and may God bless you . I’m delighted you plan to read The Secret of Willow Inn. Thank you for your encouragement and blessing, both mean a lot. I wish you well in all you do. It was wonderful getting to know Pat. Thank you for sharing a glimpse into both your writing and personal life. This sounds like a wonderful series with enjoyable characters. You brought back some memories as I remember how my late sister loved being an Avon lady too! Welcome, Maryann. Thanks for joining our circle. You’re welcome. I’ve enjoyed watching my characters develop through the first, second and now third book. I wonder if your sister’s path and mine crossed when she was an Avon lady? It’s possible, because I worked in 4 different divisions in 4 states during my career. I bet I have met you in Atlanta at an Avon conference. I was in the Honor Society so I got to go to Atlanta several times! Looking forward to your books! What a neat connection, Linda. Great to welcome you to the circle. Oh my gosh, it’s quite possible we did meet. Honor Society, that’s awesome. I loved working with Avon representatives. My pleasure, Alison and thank you for your insightful comments. Welcome, Alison. Amen. God does, indeed, prove Himself faithful. Thank you for commenting. Great to learn more about Pat and her writing journey. Thank you for the encouragement. Thank you for commenting, Melissa. I wish you much success on your journey. Welcome, Melissa. I agree. Pat’s message encourages. Thank you for joining our circle. Amen! What a beautiful inspiration! Thank you for commenting, Belinda. Blessings as you pursue your dreams. Yes. Both beautiful and inspiration apply to Pat. Thanks much for joining us, Belinda. Marilyn Turk honors us with a visit this week. 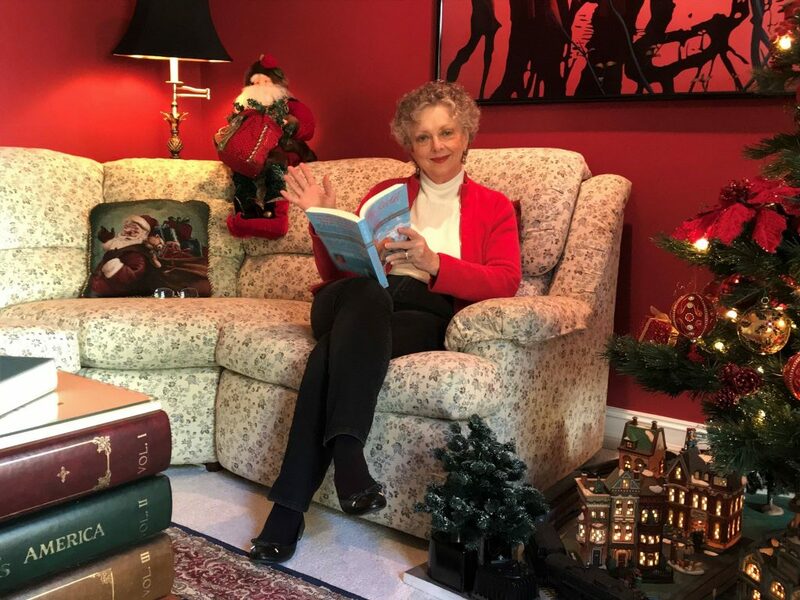 She authors historical romantic suspense. If you enjoy stories set in the past, romance, and suspense-filled story line. Marilyn’s your gal. I was born and raised in Louisiana, not in the swamp, but close enough to know what a Cajun is and how good food tastes, like example Jambalaya, shrimp creole, crawfish etouffe, gumbo, etc. 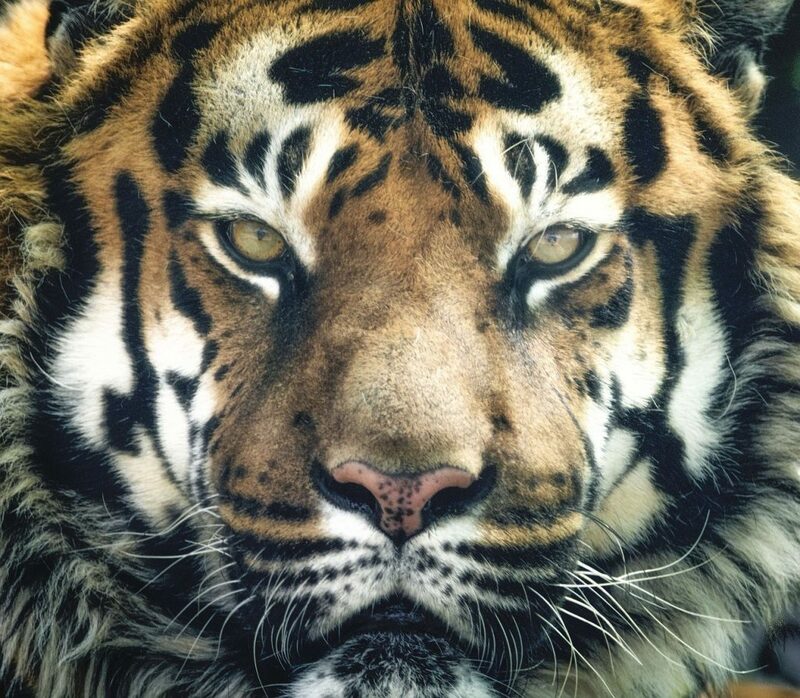 I graduated from Louisiana State University (where else?) with a degree in journalism, but don’t let that fool you. Although I had no intention of being a journalist, I wanted to major in advertising and it was in the school of journalism. However, those required journalism courses have helped a little with my writing, such as learning to be on deadline. I tried my hand in advertising for a few years before I moved to a big city (Atlanta) and went to work for a Fortune 500 company in sales. It was a “good” job that God gave me. During my 25 years with the company, I married and had three sons. When my company was sold, I was laid off (Reduction in Force, they call it). I eventually had to relocate and ended up in Florida. God’s hand? 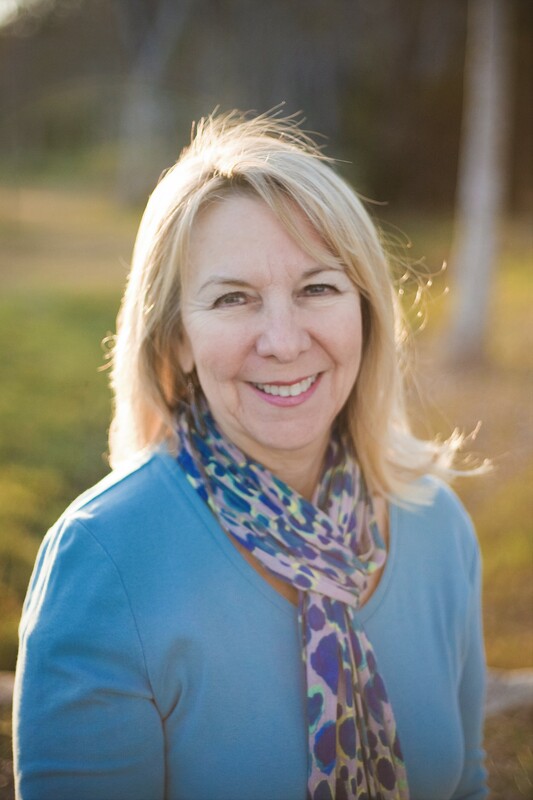 Divorced with a mortgage and three sons in college, I realized God wanted me to move. Four years later I met and married my current husband. God had forced that move so we would meet. Rebel Light was my first novel, self-published after a contract with a publisher fell through because he was unable to keep his commitment. When my agent didn’t find another publisher for it, I self-published it. The book was to be the first in a four-book series that another editor had suggested. I completed the book, but that editor was no longer with the same publisher. So I wrote the second book and started the third with the intention of self-publishing them, but then my agent said a publisher was looking for a southern gothic story. I didn’t know what that was, but I brainstormed a story with my husband and I pitched the story to another editor. 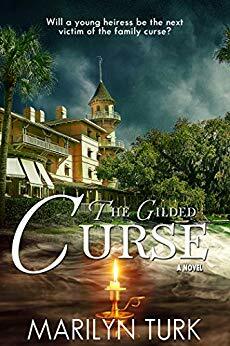 The story, The Gilded Curse, is set in 1942 on Jekyll Island, GA, and was published by Lighthouse Publishing of the Carolinas in 2016. Many who read it asked what happened to the characters afterwards. So I thought about it and wrote the sequel, Shadowed by a Spy, also set in 1942 New York. Lighthouse published it in July 2018. Also, Forget Me Not Romances contracted me for my series. 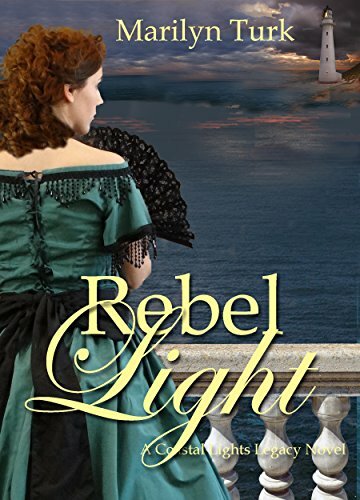 They republished Rebel Light in May 2018 and published Revealing Light in June and Redeeming Light in September. The next in the series is Rekindled Light which will be out at the end of 2018. The series is set in Florida from 1861 to 1883. 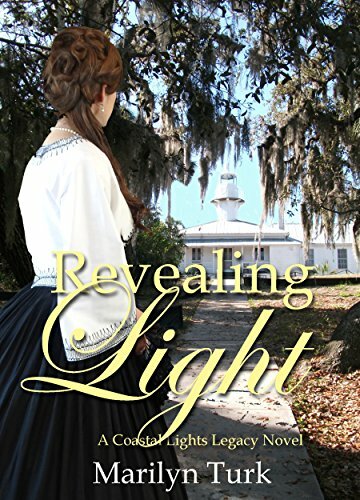 As you can tell, they all have the word “light.” When I first began writing, I started a lighthouse blog and posted faithfully on it for five years, once a week. My books feature a lighthouse either as the setting or as a mention in the book, kind of like a “Where’s Waldo?” but with lighthouses. 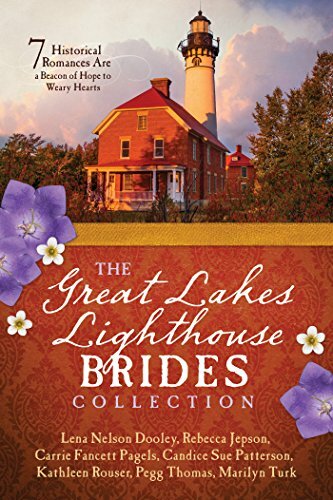 Fittingly, my novella, “The Wrong Survivor,” is part of Barbour’s Great Lakes Lighthouse Brides collection that released November 2018. What’s up with Marilyn Turk now? I have another book contracted by Forget Me Not. And another book, a split-time novel contracted by Lighthouse Publishing of the Carolinas. 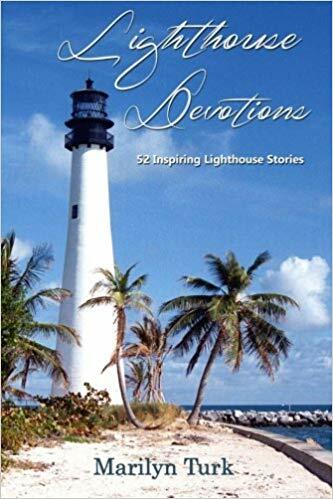 I also wrote a book of devotions called Lighthouse Devotions. I plan to update it and re-release it next year. How can we find Marilyn Turk? through Christian fiction such as Marilyn’s books. I’ve not read any of your books but they look good! Thank you for a chance to win one. I love reading about the different books you have written. I like that they have the word light in the titles. Thanks for your comment! I hope you get to read my books. Let me know how you like them! I love to meet new authors and your books sounds very intriguing… ! Thanks for your comment! Hope you get to read my books! Marilyn, Tanja and I “met” via my website contact form–all the way from Switzerland, her home. And then we met face to face at ACFW in DFW. What a delight! Looks like the website is letting me in now. Thank you for having me on your site and thank you to everyone who commented! Your books sound so intriguing. I married a Louisiana Cajun man myself. Lived there three years before we returned back to Texas. Your mention of Cajun foods makes me want to get busy cooking an etouffe or gumbo. The subject matter of the Germans following a woman to New York captivates my interest level…makes me imagine what the outcome will be. Sounds like you found the purpose God had for you. May you continue to be blessed with your writing. Hi Jane! Where else would someone named Theriot be from but Louisiana! Hope you cooked up some good gumbo or etoufee! I look forward to hearing how you liked my books. Your writing has been quite a journey! I did enjoy your novella in The Great Lakes Lighthouse Brides collection. Hi, Perrianne! It’s great to see you. We’re really blessed by Marilyn’s visit. So glad you enjoyed The Wrong Survivor in the Great Lakes Lighthouse Brides collection. Hope you get to read some of my other books. Hey Everybody! Waving here. Thanks for commenting. Sorry the site won’t accept my comments. That’s never happened before! Hope y’all enjoy my books! Hi, all! Unfortunately, Marilyn has been unable to reply to your comments so far for no reason of her own. It has to do with some “techy” issue between her/me/this site. My site creator/maintainer hasn’t been able to replicate the problem Marilyn is having. So I told her I’d let you know she’s reading your comments and appreciates them and you! Wow! These books sound intriguing. Thanks for info. Yes! Marilyn is a great writer. Come by, Cuz! Hi Susan, Hope you get to read them! Thanks for your comment. Thanks for the conversation and getting to know you. Would love to read your books! Hi, Faith. It’s great to see you in our midst this week. You’re entered in the drawing! I won Rebel Light . I just haven’t started to read it yet. The book about the Gilded Curse and Jekyll Island looks great! Thanks for your story. It was so interesting. Hello Linda and Marilyn, I enjoyed reading more about Marilyn Turk’s upcoming books. I have read and reviewed all of her books to date, so I do not need to be included in the giveaway. Have a blessed week. 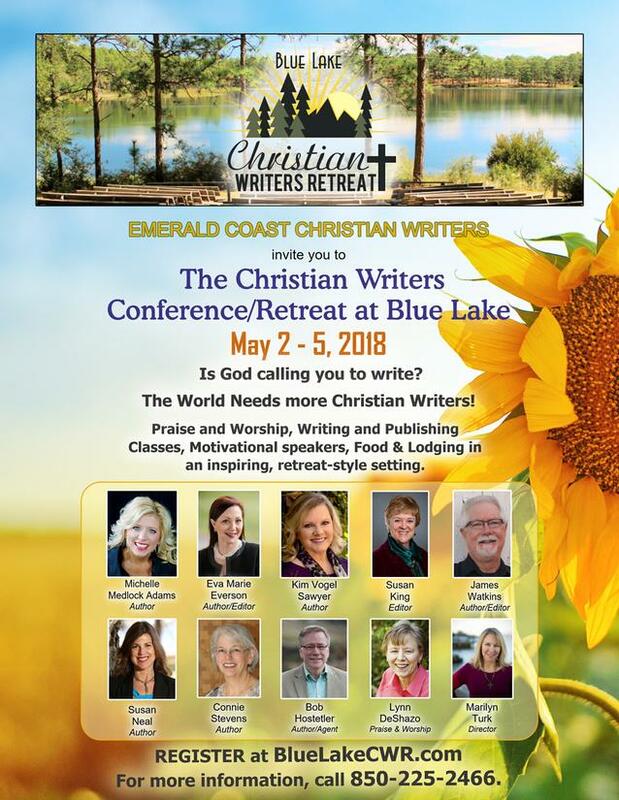 Keep letting “the light shine for Jesus” as you both write. Hi, Marilyn. Welcome! You have a blessed weekend. Wow! What a journey. Thank you for sharing your story and remaining open to the Spirit’s movement and guidance.